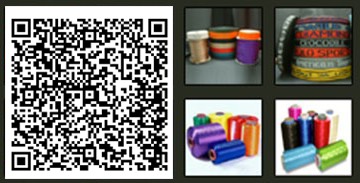 Zhongshan Kecheng Chemical Fibre Company Limited is a professional manufacturer of polypropylene yarn, polyester yarn & nylon yarn. Besides producing yarns, we also develop & extend the business to weaving tape, webbing & plastic rope by joint stock enterprise. Get the patent certificates, make sure of the advancement in this industry. Get the famous brand name in Guangdong Province of China. Win the main proportion of market in Guangdong Province of China. A reliable supplier of the famous world brands or famous China’s brands, like Adidas, CK, Crown, Foshan Plastic Group. Quite convenient traffic to our factory, about 90 minutes from Guangzhou Airport, Shenzhen Airport, Zhuhai Airport, Macau Airport; about 2 hours from Hongkong Central or HK Airport. Welcome to our factory for business negotiation, and it will be our pleasure. Our both co-operation earns mutual profits and make bright future. Brand name “Lead”, a famous brand name. Various arrange of yarns. Superior quality. Webbing is a strong, narrow, closely woven fabric used in many different purposes. We make use of raw materials such as polypropylene, cotton, polyester, jute and nylon.